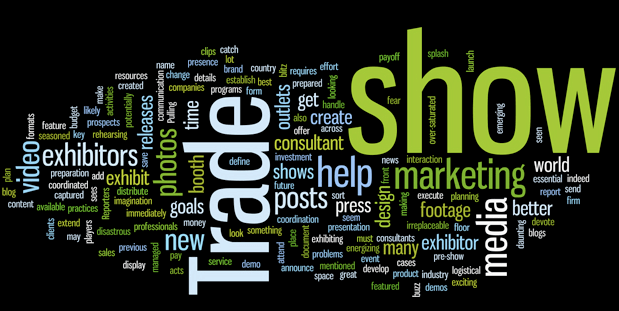 Here is a great article from our friends at Nimlok regarding trade show planning. It’s been said that the best way to predict the future is to plan for it in the present. In the trade show world exhibitors can do just that by following a trade show timeline. There is a lot to remember when it comes time to start planning for a trade show, and sometimes your to-do list can seem endless. That’s why we’ve created a helpful timeline that guides you through an entire year of successful trade show preparation. Follow this timeline to make a huge impact at your next event and avoid common planning pitfalls. For a stress-free planning process, begin 12 months prior to a trade show for a relaxed task schedule. This generous time frame allows you to design a dynamic exhibit, select the right show and define goals. Here are a few things to consider as you begin the planning process. Does attending a trade show align with company goals? Your trade show timeline should begin with figuring out whether or not exhibiting is in your best interest, and if attending an industry event aligns well with your organizations overall marketing plan for the year. Defining a clear objective or goal the first step to figuring out whether a particular event is the right fit for your company. Once you’ve established your goal, the next step is to find a show that matches your overall marketing objectives. One of the most effective means of determining which show to attend is by requesting show statistics from events you are interested in attending. Viewing attendee numbers, demographic information, average booth space cost, travel expenses and a list of competitors who attended will help you determine if the show is right for your business. From there, you can compare different shows to see which offers the most benefits at the best price, and if the location and dates work for your team. If your company has attended trade shows before, analyze the results to determine which show offered the greatest return on investment and ways that you can improve upon the previous plan. Finally, once the trade show has been selected, be sure to set reminders for important deadlines. Explore early bird registration discounts to save money on a booth space and exhibition fees. After you determined that your company should exhibit, and have picked out a show that will benefit your brand, it’s now time to create definitive trade show goals and objectives. At the 9 month mark on the trade show timeline, you will need to meet with your team to set realistic and obtainable trade show goals, trade show booth requirements and a solid budget estimate. As you begin the planning process, it is important to sit down and plot out a desired outcome for your trade show or event. Goals can change depending on the show or current marketing objectives like a product launch or promotional campaign. Additionally, it is important to define success in order to analytically measure trade show results. Make sure to communicate these success benchmarks with your team so that everyone is on the same page. Once goals and objective have been clearly defined, then it’s time to begin working out the details. 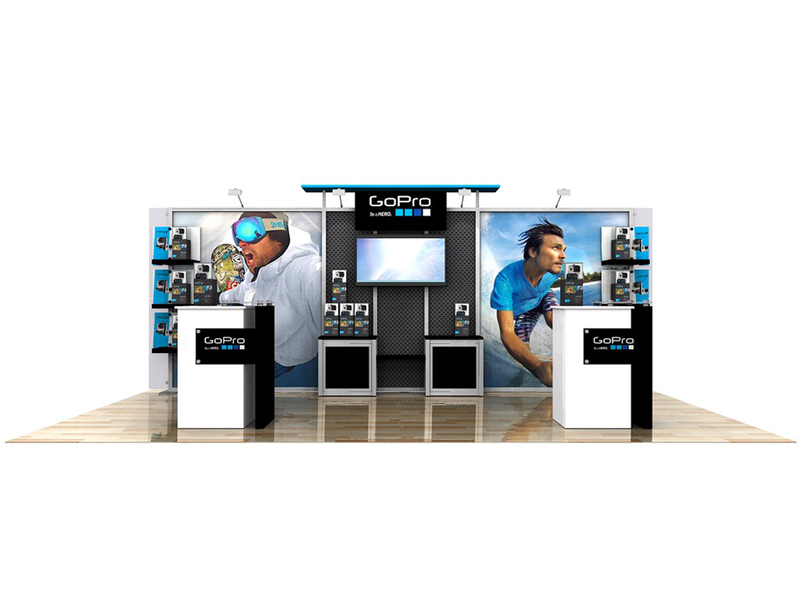 By the 9 month mark on your trade show timeline it’s time to plan for your exhibit. When planning and designing a trade show exhibit, you need to first identify how much space you will need to meet your trade show goals and objectives. From there, it important to design with your goals in mind. For example, if you’re launching a new product, then creating the perfect product display should be a priority. If the goal is to increase brand awareness, then knowledge-based resources should be readily available. Island exhibits are exposed to the aisle on all four sides, allowing attendees open access. Inline exhibits are linear, and often feature reconfigurable options perfect for multiple shows. When the dimensional requirements for your exhibit are hashed out, the next step is to figure out the graphics and design components that fit within your space. Experienced exhibitors should also decide if their existing trade show exhibit can get the job done– or if they need to rent or purchase a new asset. Be sure to think outside of the box and discuss unique exhibit solutions, like attractive product displays or an exciting virtual reality experience. 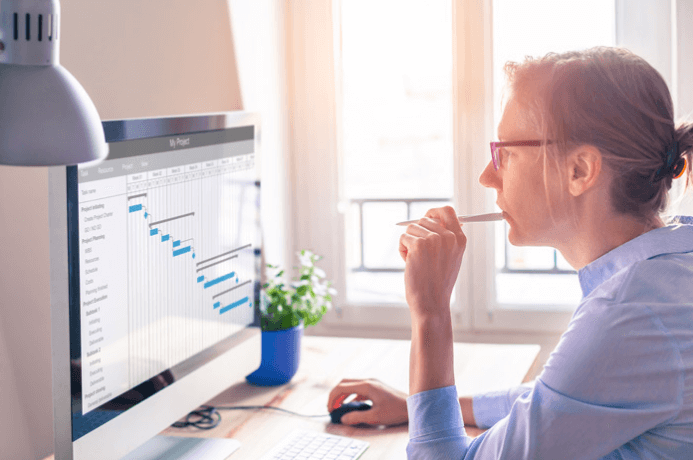 Your trade show budget will determine much of what you can and cannot achieve, so solidifying a solid budget or a close approximation early on in your trade show timeline is crucial. Since you have already created your goals and understand your trade show booth needs, it should be easier to set an overall budget for your event. Once you hit the 6 month mark on your trade show timeline it’s time to start thinking about the marketing campaign you surrounding your event. Planning your advertising, direct mail, email marketing, promotional items and giveaways around the 6 month period will give you plenty of time to build the pre-event buzz essential for trade show success. 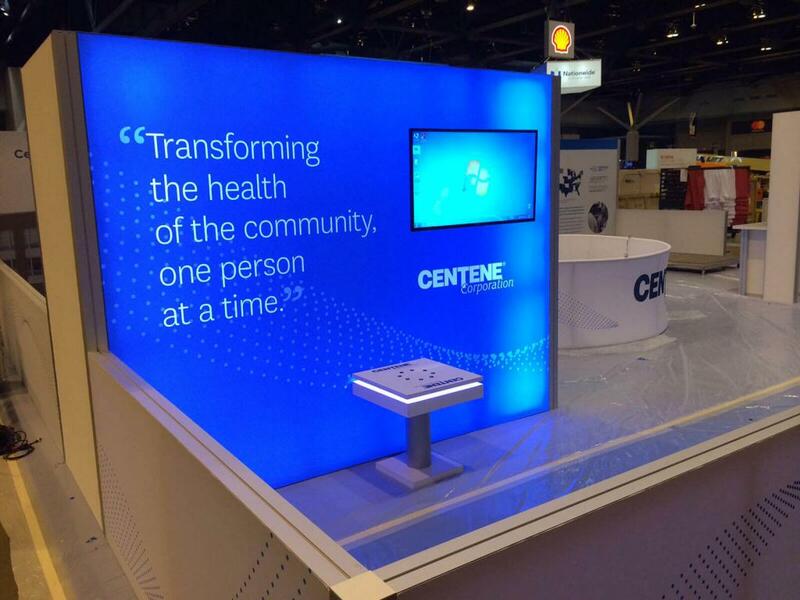 No matter what your trade show objectives are, attracting attendees to your exhibit is key. To draw attendees to your booth you will need to announce your presence to the world. Around 6 months, you should outline which outlets you believe will help you best attract visitors and begin placing ads in them. Advertising online on industry sites and in industry publications can help drive attendees to your exhibit space. You will want to buzz on social media in the weeks leading up to your event, to increase reach and excitement. Promotions and giveaways are staples in drawing attendees to an exhibit space. Planning for promotions and giveaways depends on your budget, and what your event marketing goals are. If you want to build product awareness giving away product samples and having in-booth demonstrations is a sure-fire way to draw a crowd. If you want to generate leads, having contest and in-booth giveaways such pens, notebooks or treats works well. Simply have attendees fill out a lead form to receive their giveaway. Contests are also a great way to get attendees excited about your brand and reward loyal customers with cool ticket items. At the 3 month point, you should have all of the major details figured out. However, there are many smaller task that need to be tackled before you can set sail to your event. The final stretch of your trade show timeline should be focused on finalizing these details, tying up loose ends such as travel and accommodations, training your booth staff and scheduling diners and meeting with clients and prospects for networking. Last minute details can be a headache, so make sure to have a plan in place to confirm important dates with vendors and event coordinators. Be sure to double-check venue amenities, such as wifi and electricity. Check-in with your installation and dismantle service, as well as drayage, to confirm shipping logistics, move-in dates and set-up details. Once these items have been taken care of, you should be ready to go! A well-trained booth staff is the greatest asset an event marketer could ask for, so making sure your team is briefed and primed for the event is essential. Rehearse sales pitches, train staff members on products, discuss the branded messaging your organization wants put across and create a list of goals and procedure for your team to follow. Beginning this process 3 months out gives your staff enough time to train and get comfortable with their roles. Traveling for trade shows can be difficult if you don’t make sure you have all of your ducks in a row. If at all possible, try to get a bundle on airfare and hotel rooms. Making accommodations at least 3 months in advance gives you a leg up in securing room and flight bundles, while also taking care of one of the more stressful parts of event planning by taking it off your plate early. Attending face-to-face marketing events is all about networking and creating connections. To help your organization better network, consider sending invitations to current clients attending your event. These invites can be for a consultation or a dinner in appreciation of your ongoing relationship. You can also reach out to prospects you are courting. Extending invites to prospects may help seal the deal or sweeten the pot. You should send out invites about a month in advance of your event. This gives your invitees enough time to respond confidently and also allows you time to secure reservations for diner or the ability to create a personalized packet for consultations. For more information on trade show timelines, Trade Show Display Rentals , Banner stands, Trade Show Displays or Backlit Trade Show Displays, give Thompson Kerr Displays a call at 317.915.1500 and let us connect YOUR brand, to YOUR customers.